Did Reading ever have a Castle? There has been much dispute over the years whether a castle actually ever existing in Reading, but general consensus is that some sort of fortification did indeed exist but was very short lived. Prior to the death of King Henry I, he made his principal subjects swear that his daughter Matilda (aka Empress Matilda) should succeed him on the throne. However Matilda was arrogant, quarrelsome, a woman, and married to a foreigner. Many finding these reasons, if not all, to be enough to reject her claim to the throne. On the death of King Henry I in December 1135, his nephew Stephen (The Count of Blois) seized the throne and this received widespread support. Matilda, however, was the last person to accept such an upsurption quietly. She was soon in England raising forces to drive out her cousin. Anarchy followed, and every petty baron who could raise a troop of men at arms and quickly construct a fortification, conducted a course of plundering, land and office grabbing. Berkshire was in the thick of these events. One of Matilda's principal fortresses was at Wallingford and Stephen's main position was at Windsor. Both Matilda and King Stephen marched through Reading in the course of their campaigns. The town must have suffered terribly from both sides, but Stephen left the more lasting mark. He probably built - and certainly strengthened - a fortification here in Reading. 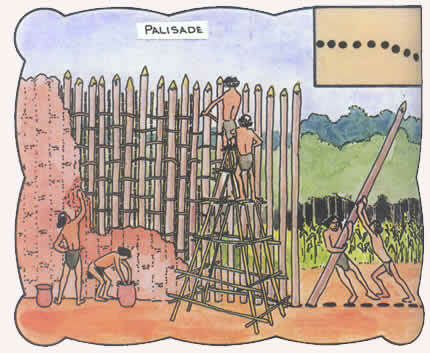 No doubt it was similar to others at the time - a palisade or keep on top of an artificial mound, with a fenced court at the foot of the mound. It was located possibly in Coley where Castle Hill runs today, and commanded both the main Bath and Oxford roads, and also over the Kennet fords. Early maps show a field in Coley on the south of Castle Street known as 'Old Fortification' (Ref: Charles Tomkins map of 1802).